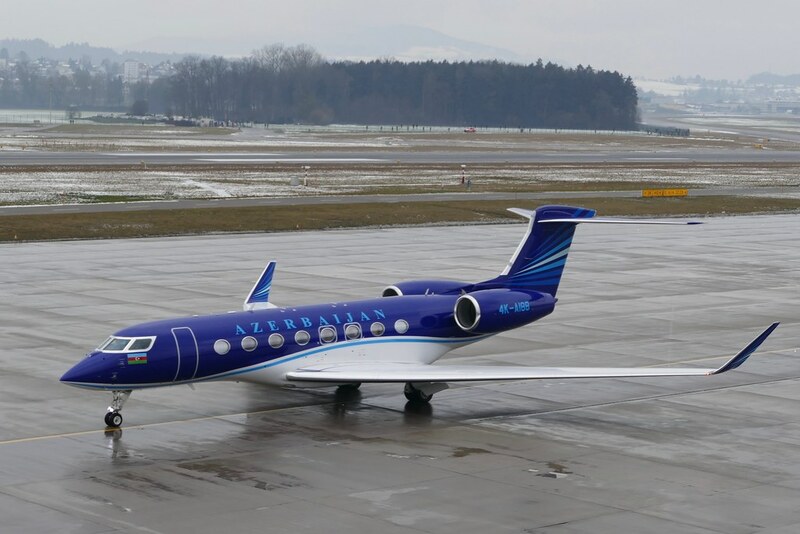 The World Economic Forum meets every January at Davos in Switzerland and it’s always a major draw for aviation enthusiasts. 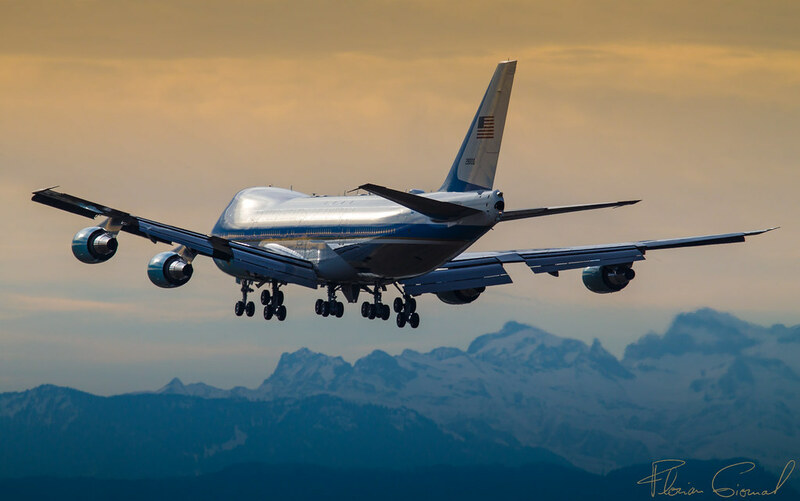 The event draws together important politicians, leaders and businesses to one place; the attraction to aircraft fans is that these VIPs usually arrive on their private aircraft, and they do so in big numbers. Davos is in Switzerland, around 115km south-east of Zurich. It is, incidentally, the highest town in Europe, and a busy ski resort in the winter. The town does not have its own airport, so most visitors choose to fly into Zurich Airport, with smaller numbers using Bern, Geneva, Altenrhein and Sion airports. When Is Davos WEF in 2019? 2019’s World Economic Forum will be held from 22-25 January. Attendees usually start arriving up to two days before the event starts, with some arriving during the event. The busiest days are usually the Tuesday and Wednesday. Departures also take place throughout the Forum, as and when individual attendees’ business is finished. Often aircraft will drop off their passengers and relocate to another airport, such as Geneva, before returning for them at the end of the event. It’s difficult to predict each year how it will play out. Each year at Davos brings its own highlights. 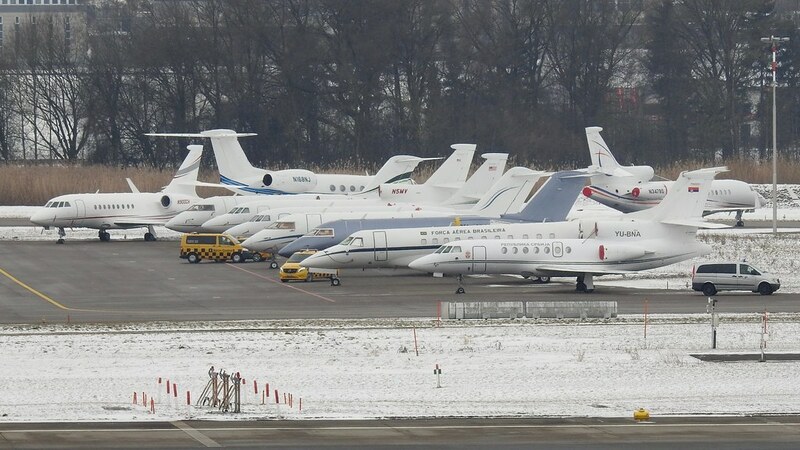 While most visitors utilise business jets, the quantity and exotic nature of them makes them worth seeing, especially as they all arrive in one place. 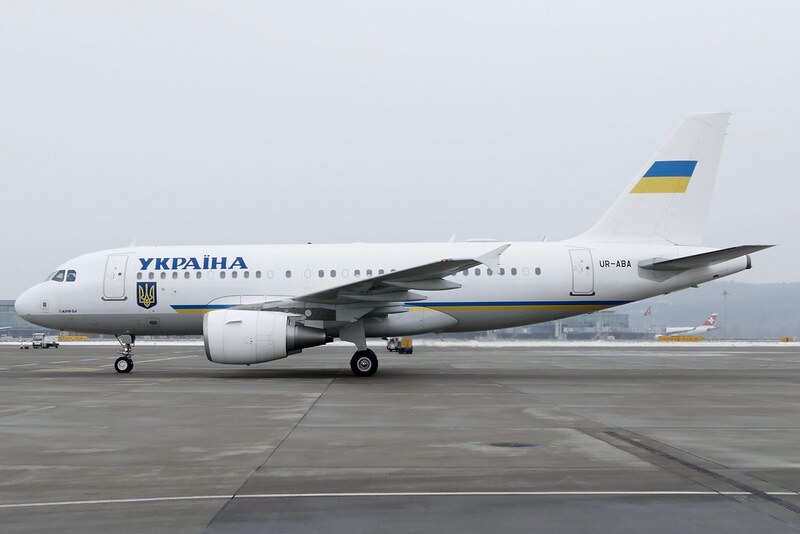 However, the highlights are usually the large aircraft – those used by leaders, and often the official government transport types of their countries. Examples include Air Force One, the JASDF fleet, and transports from all corners of the globe. 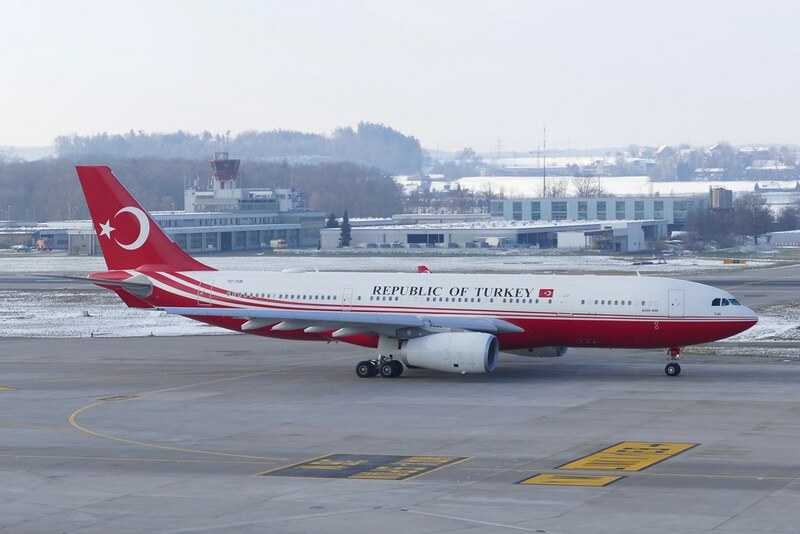 Zurich is a great airport to spot at. As well as the very welcome airside tours (see later), it provides dedicated observation decks to watch the action from. Observation Deck Terminal B is open 10am-5pm in winter and costs 5CHF for adults, 2CHF for kids. You’ll have great views across most of the terminals area, as well as runway 16. Observation Deck Terminal E also has great views, including both runways 16 and 28, and areas of the terminal parking gates. It is also the place where you commence your airside tours. Both decks have shelter, seating, and refreshment options. If you want to brave the weather, a popular spot away from the terminals is the spotter hill where you can photograph arrivals on runway 14. It has shelter, and pay-for parking. Nearby is another spot which is good on the afternoon in winter, and has free parking, toilets and refreshments. To reach it, head for Bülachstrasse (Route 90), which runs across the northern perimeter of the airport, out of Oberglatt. Here’s a handy guide provided by Zurich Airport on the highlights for spotters. Because this is a busy time for both enthusiasts and visitors to Zurich, hotels can tend to fill up quickly, and prices can be quite high. So it’s good to book this as early as possible. Not all of the rooms here have views, but ask for a high level facing the airport and you should be able to see movements. Room 409 is reportedly good for all round views. The hotel is next to the terminal buildings, so is central for visiting the viewing areas. Rooms facing the airport on the top floor are great for watching and logging movements into Zurich. It’s not ideal for photography owing to the distance. The hotel has a McDonalds restaurant joined to it, and is usually cheaper than the Radisson Blu. Zurich has always been a great place for taking airside tours, and during the WEF this is usually the recommended way to get up close to the interesting visitors, giving the opportunity to take photos from ground level. Tours run throughout the event, at various times each day. Zurich is well connected by airlines around the world. It’s very easy to get to from all parts of Europe. 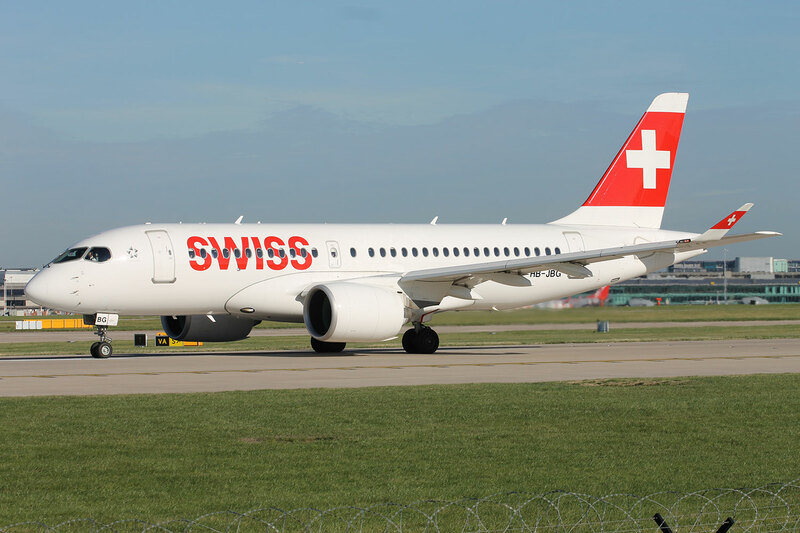 One of the more interesting ways to reach it is via the new Airbus A220s of Swiss Global Air Lines, which link the airport to many destinations. For a more affordable way of visiting, low cost airlines serving Zurich include easyJet, Eurowings, Transavia and Vueling. Finally, long-haul airlines with links to Zurich include Air China, American, Cathay Pacific, Delta, Emirates, Etihad, Hainan Airlines, Korean Air, Qatar Airways, Sichuan Airlines, Singapore Airlines and United. My thanks to Roli B for allowing me to use his pictures in this article. Check out his photo album here.